I promise I am coming to the end of my posts about Christmas but I took a little bit of a break from blogging over the festive period so I haven’t posted about our Christmas. This year was quite unusual for us as we are living close to family for the first time in about 7 years, this meant no packing up and sleeping on a sofa bed over Christmas. We spent Christmas Eve and Christmas morning just the three of us, something we haven’t done in many years. It was absolutely perfect and so relaxing; Lucas was able to take the present opening at his own pace and we enjoyed watching him discover his new presents. 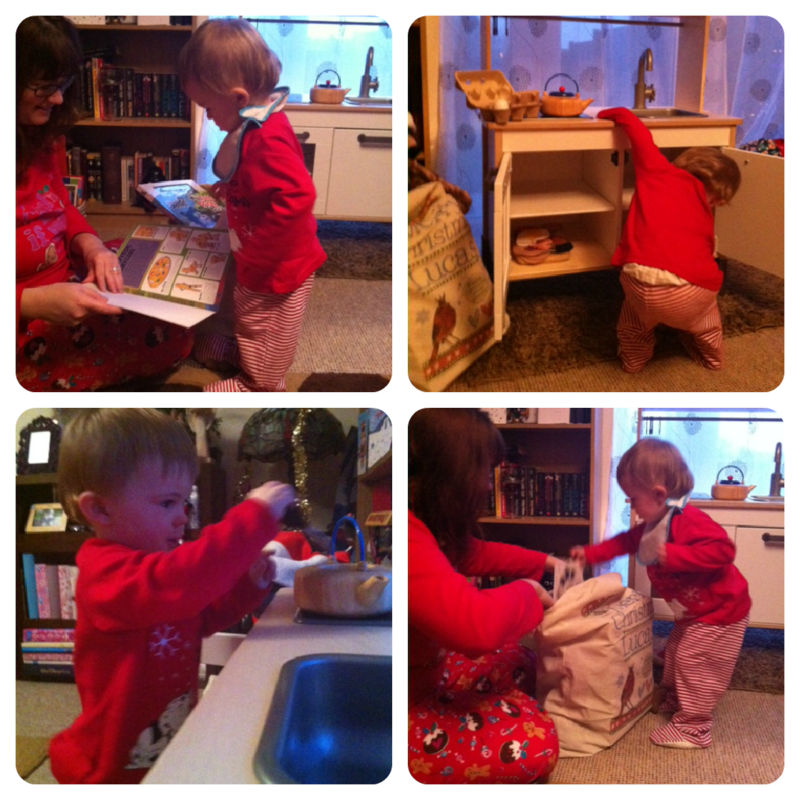 Father Christmas bought him a little play kitchen and his Santa sack had little books, stickers and trains in. My mum and brother came to visit us late morning and then we went on to James parents house before coming back home for Christmas dinner just the three of us. This is the first time I have ever cooked Christmas dinner and I don’t even cook roast dinners so it was a bit manic but I was pleasantly surprised with the end product. Lucas hardly touched his but that isn’t unusual for him and he was happy to sit at the table with us with his new Toy Story figures so I was willing to let it go for the day. Lucas was ready for an early night after the excitement of the day so me and the hubby spent the evening with our pjs on having some wine and watching DVDs. It really was one of the nicest Christmas’ I’ve had and I hope we get many more like it. It’s a little nerve racking cooking your first roast let alone having to cook a Xmas one as your first! Well done though and if its any consolation Burton hadn’t eaten a Xmas dinner since he has been alive! Glad you enjoyed a wonderful Christmas time and I love the photos of Lucas playing awww I bet he had such fun.